Flap's Dentistry Blog: California Dental Association Supporting Dental Mid-Level Providers? 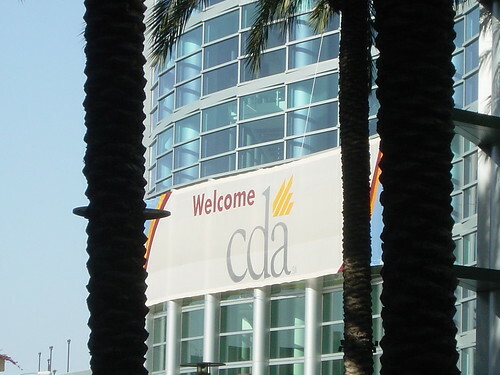 California Dental Association Supporting Dental Mid-Level Providers? Perhaps, but it is unclear whether the California Dental Association supports a study, supports increased access to care or what. Read this piece and make up your own mind. Is California gearing up to be the next state to consider midlevel providers? Lawmakers are considering a bill that would allow the state to study the benefits of alternative dental care providers. The California Dental Association (CDA) supports the proposed legislation, but two other state dental groups, the California Academy of General Dentistry (CAGD) and the California Association of Oral and Maxillofacial Surgeons (CALAOMS), oppose the concept of midlevel providers, saying they lack the necessary training to do irreversible procedures. SB 694, introduced by state Sen. Alex Padilla (D-San Fernando Valley), would also establish a state dental director who could help California secure federal funds for subsidized dental programs. As originally written, the bill would have allowed the dental director to "design and implement a scientifically rigorous study to assess the safety, quality, cost-effectiveness, and patient satisfaction of irreversible dental procedures performed by traditional and nontraditional providers for the purpose of informing future decisions about scope of practice changes in the dental workforce that include irreversible or surgical procedures." But with a January 31 deadline looming, opponents stepped up pressure and the bill was amended to remove references to "irreversible procedures," "workforce," and "scope of practice changes." My experience with the California Dental Association over decades (I am no longer a member, for a variety of reasons) is that they really won't fight the left-wing controlled Democratic Legislature and Democrat Governor Jerry Brown. With ObamaCare providing "free" dental care for children in 2014, there will be a scramble to find sufficient numbers of dentists to provide the required services. Of course, there will not be enough, so why not open it up to Community College trained dental therapists? Well, there will be problems with that as well, and I will not go into the debate on whether these folks are trained to do irreversible procedures or not. But, you see where the CDA is going with this. The funny part is that California dentists are actually paying real money dues to an organization which is undercutting their own business by supporting competition. I wonder what the pediatric dentists organization will do? I think the California Dental Association will lose even more members with this latest gambit. If you want to follow the legislation, SB 694, a link to the bill and its legislative history is here. By the way, when the U.S. Supreme Court throws out ObamaCare this late spring on constitutional grounds or President Obama is not re-elected, everything will change again.